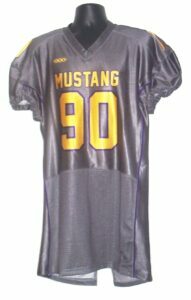 A popular choice due to the tight compression fit, this full sublimated jersey jersey gives you the performance you want while still incorporating strategically placed mesh panel to allow the jersey better air flow keeping your players cooler and more comfortable. We use 4-way stretch poly/lycra for the shoulders, sleeves and main body panels. Team name, logo, player names and numbers are all included in the base price.